Cite is an extension which allows an editor to create footnotes. Cite includes several extensions which can be installed independently and operate independently of each other. 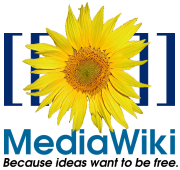 Analytics is a simple extension which allows you to put a Google Analytics tracker in your MediaWiki articles, so you can obtain statistics on the articles that you are interested in. ParserFunctions extension enhances parser with logical functions. New versions (r50997+) also incorporate the features of StringFunctions. User Merge and Delete extension allows Wiki users with the 'usermerge' permission (Bureaucrat by default) to merge one Wiki user's account with another Wiki user's account - deleting following merge is also supported. You may not delete a user without merging first - omitting the "New User" field will auto-populate the New User as "Anonymous", user_id 0 and ask you to confirm merge to Anonymous.